Royal House: Bourbon, a branch of the house of France; ruled Spain from 1700 until 1931, when a republic was declared. After the civil war of 1936-39, Franco declared Spain a monarchy and ruled as regent until his death in 1975, when Felipe’s father ascended to throne. 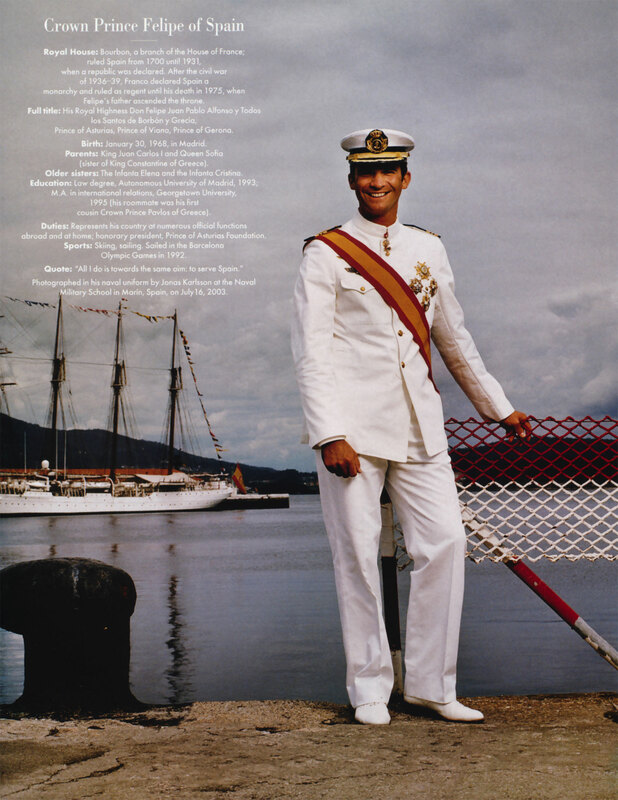 Photographed in his naval uniform by Jonas Karlsson at the Naval Military School in Marin, Spain, on July 16, 2003.